In real estate, we help open doors for clients. We know the business, the market, and the legal moves needed to get deals made. 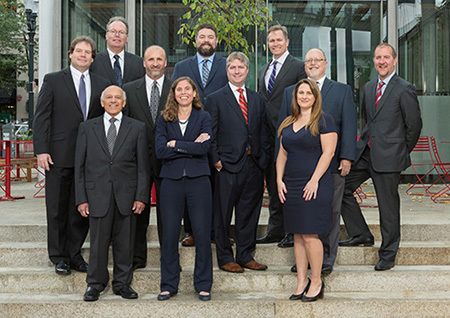 Our practice covers a wide expanse of commercial and residential real estate matters, including development, land use, purchase and sale transactions, financing, leasing, litigation, and title issues. Our Real Estate and Land Use Group has substantial experience advising clients on everything from subdivision developments and condominium projects to manufacturing facilities. We also assist with real estate lending and foreclosure of security interests when loans are in default. For our clients involved in construction, we supply legal advice, help resolve claims, and assist in preparing construction documents. Simply put, we have the capability to do whatever is needed to get projects off the ground and completed. We recently assisted clients in performing negotiations, due diligence, and assisted them in the tax issues related to an IRC §1031 exchange to purchase an apartment complex. The tax-free exchanges deferred in excess of $200,000 of taxes which would have been immediately due and payable. We often assist our clients in tax-free exchanges of commercial properties, including warehouse, apartment, and agricultural properties. We have assisted clients in purchasing a shopping center that was near an environmentally contaminated site. The center was purchased by several limited liability companies that we created for our clients, that allowed the clients to only have a portion of the center at risk for environmental contamination liability, thereby protecting the majority of their investment from such liability. We commonly assist clients in lease negotiations and documentation for both landlords and tenants. We recently structured a 30-year ground lease/option to purchase on a large industrial site, which allowed our client, the tenant, the option to terminate the lease with 60 days' notice if regulatory authorities prevented the property from being used for the intended purpose. We are presently assisting a client in a 75-year ground lease for a shopping center, the payments under such lease will be in excess of $20,000,000. Our lawyers have handled condemnation matters for both landowners and government entities, including matters that progressed to trial. In one case, one of our attorneys prevented the City of Portland from condemning and demolishing the Broadway Hotel for several years, allowing the client to seek financing to refurbish it. We formed a limited liability company ("LLC") intending to buy an established restaurant, including the real property on which it was located. After forming the LLC, we negotiated and prepared the purchase documents. Because of various governmental restrictions and practical problems with the configuration of the property, we advised the client regarding a number of issues including set back issues, utility easements, and shared parking agreements. Because our client did not intend to operate the restaurant, but instead planned to lease it to an established operator, we assisted the client in negotiating the terms of the lease to the operator, and then prepared the lease, which included provisions contemplating the future remodeling of the restaurant by the tenant. We also succeeded in defending against a minority interest holder's attempts to dissolve the family corporation, to force the sale of stock in the family corporation, and to gain control of the corporation through manipulative voting arrangements and leases. 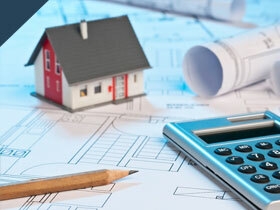 We frequently assist clients with securing loans for real estate. In the event a debtor fails to make payments, we often assist our clients with foreclosing on the real estate in order to recover the loan amount.